G D Hickman Racing Stables is committed to providing client's with the very best expert and quality services. This is only possible by employing people committed to high quality work ethics. Listed below are our valued team at G.D. Hickman Racing and from time to time we list any employment opportunities. Stablehand required for Warwick Farm & Gold Coast Racing Stable. Position includes general ground duties and raceday work. Experience with racehorses preferred. Work hours are: Mon-Sat 4.00am-9.00am & 3.00pm-5.00pm. Sunday 5.30am-7.30am & 3.00-5.00pm (alternate weekend off). ATA award rates. Experienced track work rider or senior apprentice required for Warwick Farm Racing Stable. Must be capable of riding accurate fast work. You would be part of a team - 2 other riders. This document is our Training Agreement. It will apply to each Horse from the time it is delivered by the Owner or the Owner’s agent and accepted by us on to the Property. Delivery of the Horse will constitute the Owner’s acceptance of all terms and conditions. THIS AGREEMENT will operate from the Effective Date. A.The Proprietor is a provider of horse training and ancillary services. B.The Owner is the owner or lessee of the Horse. C.The parties have agreed that the Proprietor will accept delivery of the Horse and provide the services in accordance with this Agreement. 1.1The Proprietor: (a)will take possession and day-to-day control of the Horse on behalf of the Owner for the purpose of providing the services; and (b)will, exercising reasonable care, skill and diligence at all times during the Term, provide the services in a proper and efficient manner in accordance with the normal standards applied, provided and maintained in connection with the training and racing of thoroughbred racehorses. to the physical well-being of the Horse will remain with the Owner. 1.3 (1) This Agreement: (a)is subject to the Rules of Racing, including the TOR Rules; (b)excludes and replaces the terms of the TOR Standard Training Agreement, as permitted by TOR Rule 1; and (c)is irrevocable and legally binding upon the parties for the Term. (2)Any right or obligation accruing under this Agreement during the Term will not be affected or prejudiced by it ending. The Proprietor is relieved of any further obligation from the End Date. (1) Additional services may be provided by Associated Entities of the Proprietor. If any such additional services are provided by an Associated Entity of the Proprietor, and such Associated Entity does not have a separate agreement with the Owner in relation to the provision of those additional services, then the Owner agrees that this Agreement, except for clauses 3 and 6, will apply mut at is mut and is to the agreement between the Owner and the Associated Entity for the provision of those additional services. (2) Without limiting paragraph (1), the Owner acknowledges and agrees that in entering into paragraph (1), the Proprietor does so for one’s own benefit, and as agent of and trustee for each Associated Entity of the Proprietor who is or may be entitled to the benefit of the Owner’s covenants in paragraph (1) (with each Associated Entity entitled to enforce those covenants against the Owner in its own name and style). (a)this Agreement binds them both individually and collectively; and (b)either the first-named registered Owner or such other person nominated by the Owners will be the manager and deemed duly authorized agent of all of them for all dealings with the Proprietor in relation to the Horse and this Agreement. (a)Unless otherwise agreed with the Proprietor, if the multiple parties comprising the ownership arrangement are co-owners, they are severally liable for the proper performance of the Owner’s obligations under this Agreement. Consequently, clauses 10, 12, 16 and 17 of this Agreement will apply to each co-owner’s interest in the Horse, except for: (i)clauses 10.2(a) and 16.1(a), which will apply to the whole Horse; and (ii)clause 16.3, which will apply to the whole Horse if a co-owner holding 50% or more of the Horse is in breach of one’s obligations under this Agreement. (b)Each co-owner expressly and irrevocably authorises the Proprietor to notify the manager and the other co-owners if any co-owner breaches a material obligation, including any payment obligation, under this Agreement. (a)complete all procedures and documentation required by the Proprietor prior to delivering the Horse to the Property on the day and at the time specified by the Proprietor; and (b)comply with a direction given by the Proprietor at any time to remove the Horse from the Property. routine) veterinary or other treatment, the cost of which is likely to be more than $2,000. 3.3If the Horse is an Entire, the Proprietor must obtain the Owner’s or the manager’s approval before authorizing that it be gelded. certified by a qualified equine veterinarian retained at the discretion of the Proprietor or Principal Racing Authority. 3.5The manager must obtain the approval of the parties comprising the ownership arrangement (in accordance with the terms of that arrangement) before authorizing the Proprietor to take the actions contemplated by clauses 3.2, 3.3 and 3.4. (b)to be offered for sale, sold or otherwise disposed of on behalf of the Owner; such arrangement will be made by the Proprietor as the Owner’s agent and the Proprietor will no longer be responsible to the Owner either for the care and well - being of the Horse, or for fees and charges incurred. (1)The Proprietor’s current basic fees and charges, together with the mandatory allocation of Prize money prescribed by the Rules of Racing, are set out in the Fees Notice. (2)The Proprietor must, within 7 days of being appointed as the trainer of the Horse, provide to the Owner or the manager a copy of the Fees Notice. The Owner or the manager will then have 14 days to resolve with the Proprietor any query or objection in relation to the Proprietor’s fees and charges. In any event, the Owner or the manager must resolve such query or objection prior to delivering the Horse to the Property. (3)The Proprietor may impose additional charges for additional services. Fees and charges of Third Party Service Providers are in addition to the Proprietor’s fees and charges. 4.2The Proprietor may vary one’s fees and charges, including additional remuneration and gratuities, but must provide an amended Fees Notice to the Owner or the manager prior to implementing the increase. prescribed by the Rules of Racing or race entry conditions and distributed directly to each of them via the Principal Racing Authority’s stakes payment system or other means. 4.4The Owner must pay or reimburse the Proprietor upon demand the amount of any invoice rendered directly to the Proprietor by a Third Party Service Provider. 4.5The Proprietor may require the Owner to advance to the Proprietor moneys on account of the estimated cost of specified race entry fees, surgery or extraordinary veterinary treatments, and will not be obliged to incur the expense until such moneys are received. 4.6ADDITIONAL REMUNERATION AND GRATUITIES The Owner must also pay to or bestow upon the Proprietor the additional remuneration and gratuities set out in the Fees Notice. (ii)to each party directly one’s proportion of such fees and charges. Regardless of the invoicing arrangements, liability for all such fees and charges remains as set out in clauses 1.5. 4.8METHOD OF PAYMENT The Proprietor’s preferred method of payment is by EFT, or by Mastercard or Visa credit card. In the case of multiple Owners and proportionate direct invoicing, the Proprietor may charge an additional administration fee. (b)be eligible to be an Owner under the Rules of Racing. 5.2If there is any inconsistency between a provision of this Agreement and the Rules of Racing, including the TOR Rules, the latter will prevail to the extent of the inconsistency. 5.3The Owner expressly and irrevocably authorizes the Proprietor to obtain from Racing Australia or the Principal Racing Authority full details of the Owner, as recorded with such body, including (without limitation) name, residential and email addresses, telephone and facsimile numbers. 5.4If the Horse is leased, the authorization in clause 5.3 will extend to and include full details of the lessor. (a)Any invoice rendered by the Proprietor prior to the 15 th of the month is payable by the end of that month, or if rendered afte rthe 15th of the month is payable by the end of the following month. If the Owner fails to pay, but does not within that period dispute the amount of such invoice by giving a Dispute Notice to the Proprietor (and a copy to Racing Australia), the Presumption of a Training Debt arises and the Owner will be deemed a defaulter for non-payment of training fees. If a Dispute Notice is given, the Presumption of a Training Debt does not arise. (b)Paragraph (a) notwithstanding, the Owner or the manager may within 6 months after receiving an invoice rendered by the Proprietor dispute the amount of such invoice by giving a Dispute Notice. the Training Disputes Tribunal by giving to Racing Australia (and a copy to the other of them) a Notice of Election of Hearing and the applicable filing fee. A Dispute Notice will lapse if a Notice of Election of Hearing is not given. (d)The Owner or the manager may attend and be heard at the hearing of the dispute before the Training Disputes Tribunal. The Owner or the manager may, by appointment with the Proprietor, attend at the Property for the purpose of inspecting the Horse. Visitation will be entirely at the Owner’s or manager’s own risk, assumed voluntarily, and the Proprietor will not be liable for the materialisation of an Inherent Risk associated with such visitation, including (without limitation) accident or injury, howsoever arising, involving or sustained by the Owner or the manager, or any other person who may accompany the Owner or the manager when visiting the Property. The Owner must indemnify the Proprietor against all expenses and liabilities incurred in the course of properly complying with this Agreement. (b)if it fails to compete in or win any races or Prize money. 9.2Except for any right of indemnity specifically preserved by this Agreement, the Owner expressly surrenders, so far as the law permits, any right which the Owner may have against the Proprietor or any Third Party Service Provider to claim damages for harm suffered by the loss or diminution in value of the Horse, howsoever arising, including (without limitation) liability in negligence and any right of the Owner to claim damages for economic loss or loss of opportunity to earn future income. 9.3Any right of indemnity either specifically preserved or not capable of surrender will be limited in damages to the initial amount paid by the Owner to acquire the Horse. (b)not to either transfer, sell or otherwise dispose of, or create any Encumbrance attaching to, the Horse, other than in accordance with this Agreement. (ii)to sell the Horse or appoint a receiver to do so; when the Owner’s breach of this Agreement occurs. 10.3The rights conferred by this clause 10 are in addition to and not in substitution of any rights of the Proprietor at common law or under any statute. Unless otherwise agreed in writing by the Proprietor, the Owner is responsible for arranging one’s own insurance cover (including the renewal of any existing cover) for mortality and other insurable risks in relation to the Horse for the Term. If the Owner elects either to transfer, sell or otherwise dispose of, or to create any Encumbrance attaching to the Horse, while any fees and charges are outstanding and payable to the Proprietor or any Third Party Service Provider under this Agreement, the Owner must prior to doing so either: (a)pay all such outstanding fees and charges to the Proprietor or Third Party Service Provider; or (b)obtain the Proprietor’s approval either to the proposed sale or other disposition, or to the creating of the Encumbrance. The Proprietor may give approval (with or without conditions), or withhold approval without providing a reason. If the Proprietor does approve, the Owner must comply with any conditions of such approval, and otherwise obligate the proposed purchaser, acquirer, or grantee of any Encumbrance to novate this Agreement. In any event, the Owner will remain liable to the Proprietor or Third Party Service Provider for any fees and charges not paid to the Proprietor or Third Party Service Provider by such purchaser, acquirer, or grantee. 13.1The Proprietor acknowledges that, other than as set out in this Agreement, the Owner has neither made any representation nor provided any warranty to the Proprietor in relation to the Horse. approval if the Owner is in breach of any payment obligation under this Agreement. (b)is not aware of any behavioral, physical or health problem with the Horse which, if known to the Proprietor, would cause the Proprietor to refuse to take delivery of the Horse at the Property. (c)that any assessment or expression of opinion by the Proprietor as to how the Horse may perform in any specific race, or generally, will not constitute a representation or warranty as to performance. (b)to inspect the Property and the facilities in order to satisfy oneself as to their fitness for purpose; and has either done so, or freely declined the opportunity to do so. Taxable Supply under the GST Act. Notice as payable by the Owner under this Agreement has GST included in it, unless it is specifically stated as being exclusive of GST. 15.3Any invoice rendered by a party to this Agreement in connection with a Taxable Supply made pursuant to this Agreement which seeks to recover an amount of GST payable by that party must conform to the requirements for a Tax Invoice and must be delivered on or before the date payment is required. (c)may give a Default Notice to the Owner, the manager or lessor(as the case requires), requiring that such breach be remedied within 14 days. If the Owner fails to remedy the breach within the period specified in the Default Notice, the Proprietor may pursue all or any of one’s contractual and legal remedies against the Owner. (b)if the Horse is sold, by notice to the selling agent or buyer (as the case requires) requiring payment directly to the Proprietor as a first call on the total of net sale proceeds; of such amount as is required to fully extinguish and discharge any outstanding payment obligation of the Owner under this Agreement. (2)The Owner expressly and irrevocably directs the third party recipient of a notice served pursuant to paragraph (1) to make payment in accordance with that notice without reference to the Owner or the manager and without requiring a court order for payment and attachment of debt. (2)If the Proprietor elects to exercise one’s power of sale in relation to a defaulting co-owner’s interest in the Horse and is required by the Corporations Act to provide a prospective purchaser with a Product Disclosure Statement, the Proprietor may request a Product Disclosure Statement from the manager, which the manager must provide within 7 days of receiving such request. (3)If a sale by public auction, the Proprietor may offer the Horse without reserve and sell it to the highest bidder. (5)The Proprietor must give the Owner, the manager or lessor (as the case requires), 14 days’ notice of any proposal to sell the Horse by public auction, and 7 days’ notice of any proposal to sell the Horse other than by public auction. (b)secondly, in payment to the Proprietor, or Third Party Service Provider, of all fees and charges, including (without limitation) any interest and enforcement costs that are outstanding and payable by the Owner. The Proprietor must pay to the Owner or the manager any sale proceeds not required to be applied by the Proprietor either in remedying or as a consequence of the Owner’s breach of this Agreement. If the Proprietor, Third Party Service Provider, or such party’s nominee, undertakes any debt recovery action with any agency or legal proceedings against the Owner in relation to the Owner’s breach of a material obligation, including (without limitation) any payment obligation, such party will be entitled to recover all fees and expenses, including agency commissions, legal fees and other costs incurred in relation to such action or proceedings on a full indemnity basis. The rights conferred by clauses 16.1 to 16.4 inclusive will not prejudice any other rights which the Proprietor may have against the Owner relating to the Owner’s breach of this Agreement. (f)waives any right as permissible under the PPSA to receive a notice. 17.3 The Proprietor must discharge the Security Interest when all of the secured obligations of the Owner under this Agreement are satisfied. 17.4 If there is an existing Encumbrance attaching to the Horse at the time of the parties entering into this Agreement, the Owner assures the Proprietor that the grantee of such Encumbrance approves of the Owner entering into this Agreement and consents to the Security Interest granted to the Proprietor having priority over such Encumbrance, regardless of whether or not such Encumbrance is a perfected or unperfected Security Interest. (b) the Owner or the manager, to the address or number provided by the Owner or the manager, or such other address or number that may be recorded with the Register of Racehorses or that the Proprietor reasonably considers to be the current address or number of the Owner or the manager. (c) facsimile or email transmission, on the day after the date of transmission. Each party must at one’s own cost, execute any instrument and do any act or thing required to give effect to this Agreement. The law governing this Agreement is the law of the Commonwealth of Australia and of the state or territory where the Property is located and the forum for all disputes will be either the Federal Court of Australia or the Courts of that place, to the authority of and which, including any appellate jurisdictions of such courts, the parties unconditionally submit and confine themselves for all proceedings arising from this Agreement. The Proprietor may use the Horse’s name, image and racing colours in any promotion, publicity or media, free of consideration. Associated Entity has the meaning ascribed to it in the Corporations Act 2001 (Cth). Charge means the right to seize and sell, including a power of sale and the right to receive and apply Prize money and proceeds. Default Notice means a notice detailing the breach by the defaulting party of an obligation under this Agreement. Disputes Notice is a prescribed form under the TOR Rules. or any agreement to create any of them or allow them to exist. Entire means a male horse that has not been gelded. FBAA means Federation of Bloodstock Agents Australia Ltd (ABN 27 003 596 718). Fees Notice means any document, as amended from time to time, that provides a reasonable estimate of the fees and expenses the Owner will be likely to incur if the Owner gives the Horse to the Proprietor to train, and which complies with the requirements for a Fees Notice under TOR Rule 3.
Financing Statement has the meaning ascribed to it in the PPSA. Financing Change Statement has the meaning ascribed to it in the PPSA. GST means tax that is payable under the GST law (as prescribed by the GST Act). GST Act means the “ A New Tax System (Goods and Services Tax) Act 1999”. Horse means any thoroughbred horse delivered by the Owner and accepted by the Proprietor onto the Property. Inherent Risk means a risk of something occurring that cannot be avoided by the exercise of reasonable care. Lien means the right to retain. 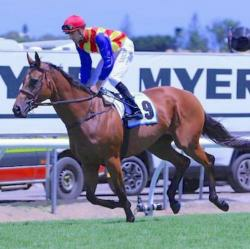 MM means Magic Millions Sales Pty Ltd (ABN 54 078 396 317). Notice of Election of Hearing is a prescribed form under the TOR Rules. (b) the lessee of the Horse. PPSR means the Personal Property Securities Register under the PPSA. Presumption of a Training Debt has the same meaning as in the TOR Rules. Principal Racing Authority means the body responsible for the regulation of thoroughbred horse racing in the place in which the Horse is racing or may race. Prize money means money earned from racing the Horse, including breeder’s bonus and incentive scheme payments and other bonuses. to be given to prospective investors when offering a financial product to retail clients. Property means any property or place where the Proprietor provides the services. Proprietor means Greg Hickman Racing(ABN 53937458995); including its directors, officers, employees, servants and agents. Racing Australia means Racing Australia Limited (ABN 89 105 994 330). Secured Party means a person who is granted a Security Interest under this Agreement. concerning the deposit of document s evidencing title, trust, power or title retention arrangement, or any other covenant or arrangement of any nature made to secure the payment of money or the observance of an obligation. Taxable Supply has the same meaning as in the GST law. Tax Invoice as the same meaning as in the GST law. Term means the period from the Effective Date until the End Date of this Agreement. Third Party Service Provider means any external service provider contracted by the Proprietor (as the agent of the Owner) to provide services in relation to the Horse while in the care and under the control of the Proprietor. TOR Rules means the rules set out in Schedule 1 of the Rules of Racing. Training Disputes Tribunal has the same meaning as in the TOR Rules. Training Disputes Trust Account has the same meaning as in the TOR Rules. Training Fees Dispute Resolution Procedures means the procedures in the TOR Rules (TOR Rules 4 to 9 inclusive) for the resolution of a dispute between a trainer and an owner over the payment of training fees. WI means William Inglis & Son Ltd (ABN 75 000 011 307). (viii) any Schedule or annexure will form part of this Agreement. This document was compiled by Macquarie Legal Practice (“MLP”) and is subject to Copyright©. o the materialisation of an Inherent Risk, including (without limitation) accident, illness, injury, natural causes, infertility, subfertility, or the risk that the Horse will not have any residual value as a stallion or broodmare. The Proprietor’s Property, racecourses and other places where the Horse may be located from time to time can be dangerous places, including because horses do not always behave as expected. Entering into those places involves the risk of injury, accident and loss or damage to person or property for all persons who enter. (b) that the failure of the Owner, or any co - owner, to comply with one’s payment obligations to the Proprietor or Third Party Service Provider may result in the Proprietor stopping or suspending training of the Horse (including entering it for any race or trial), even though the other co - owners are complying with their payment obligations.